I couldn’t imagine a world without Brown Sugar. Be it the divine goodness of nature’s organic sweetener, the sexiness of the song made famous by crooning superstar D’Angelo or the 6 piece multi-talented, electrifying and soulfully successful Sydney cover band of said name – either way you look at it, Brown Sugar turns the ordinary into something truly special. Speaking to Deni Di Filippo, drummer, founding member and manager of Brown Sugar’s 6 outfit soul band, one can feel the immense pride and admiration he feels for his band, who have done the hard yards on the Sydney live music circuit for well over a decade now and show no signs of slowing down. As infectious and mesmerising as they were the first day they performed together, Brown Sugar continue to shine bright as their fan base grows on the daily. They are like the Pied Pipers of the live soul movement in Sydney, wherever they go, people inevitably follow. Booked for more weddings than you can fit into a year, there is nothing Brown Sugar can do wrong, expect stop performing. Stop – I couldn’t even imagine the uproar if that happened. Holding court at their new Friday night residency “The ArtHouse Hotel” in Pitt Street Sydney, the band pack out the venue on a weekly basis, no thanks to the stellar musicianship combined on stage. In particular the powerhouse vocals of Lady Lyric, the soul queen with a voice from the Gods, commands the stage alongside the saccharine voiced sage Miguel George, together they are the crowd controllers. When you witness Brown Sugar in action, you are transported to a space where the connection between musician and audience is purely symbiotic, where the two ebb and flow off each other like a well versed song. Brown Sugar truly know what their fans want to hear and boy do they deliver, impeccably with each and every performance. Add to the experience live sets from in-demand DJ Trey and well that just ups the ante. I could continue to wax lyrical about the ways in which this cover band reign supreme on the live circuit, but that isn’t necessary. 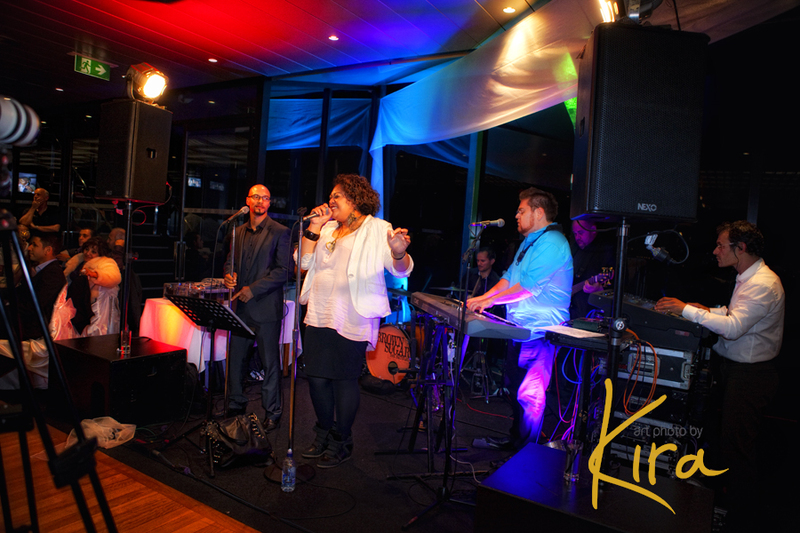 They are a firm and beloved fixture in the live music scene in Sydney whose professionalism, experience and passion for what they do speaks volumes. Beloved and respected by their industry peers and legion of fans alike, Brown Sugar’s sole purpose as a band is to make people happy and judging by the screams and excitement their audience continue to shower upon them , they can safely say mission accomplished! 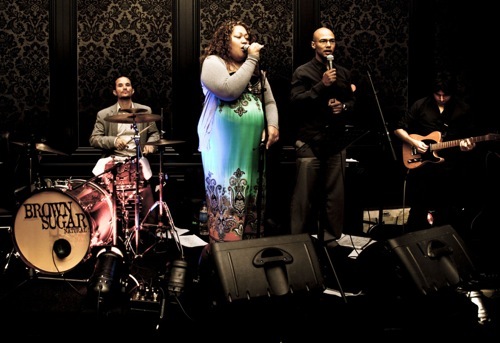 Finally get to speak to one of my favourite cover bands in Sydney – Brown Sugar! Man it’s been a while between drinks – how are you guys doing? Albeit busy no doubt! Thanks so much Max, it’s our absolute pleasure! We are going great, very busy at the moment with our new great venue The Arthouse and with our regular functions. Brown Sugar consists of 6 members is that correct? How do you all maintain your unity in a group as fluid as this whilst still maintaining your individualism as musicians? 6 members, Lady Lyric & Miguel George on lead vocals, Jonathan ‘Jaycee’ Corea on Keys/Sax & Vocals, Michael Dolce on guitar, Johnny Grguric on Bass & Deni Di Filippo on drums. With great difficulty (laughs) Firstly we all like & respect each other, most of the time (smile) and most of us do work outside of the band occasionally to keep creative outside the group. Working together, we try & change things up as often as possible and try & work more like a DJ and not get complacent by playing songs the same way every time. You have been one of the most loved, watched, followed and booked groups in Sydney to date, packing out live music venues every time your name is on the bill. You pack out your weekly residence at The Art House in Sydney every Friday night and have bore witness to more marriages than a priest! What is it about Brown Sugar that keeps you all a firm favourite on the live and local circuit for going on close to 10 years now? I think we play music that we listen to and love ourselves which is a key factor. The music we play is a mixture of old & new school R&B/Soul, which appeals to a broad demographic and we always look to add our own feel and live element. How would you best describe Brown Sugar and the collective talents that each member brings to the group as a whole? It’s like an R&B circus 😉 There’s a load of talent within the group and it comes from a bunch of diverse backgrounds and experiences. We each have very different musical backgrounds and influences and it works really well when we’re together, both musically and emotionally. Lady Lyric came from a church background and then became a club MC. Miguel started in a boy band back in the day. Dolce and I used to play in rock and funk bands initially. 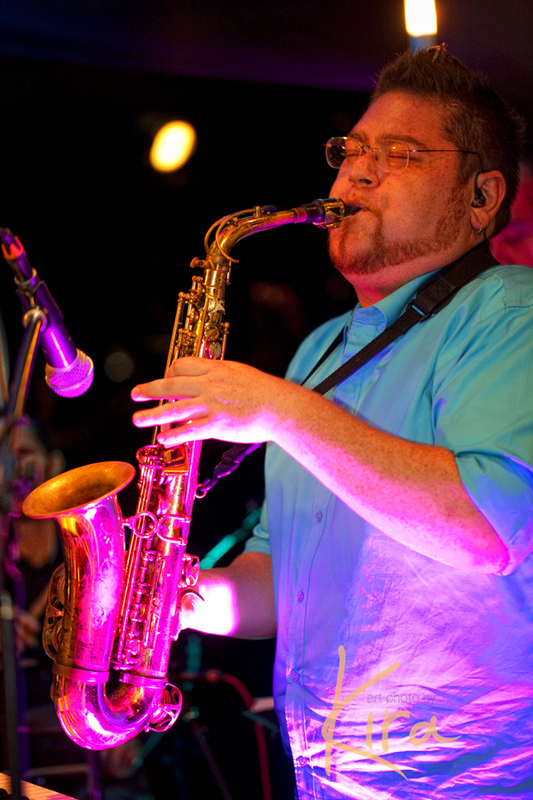 Johnny played started off playing in an Italian wedding band with his Tongan brothers and JC started in church and then proceeded into Jazz & funk. The artists / musicians that inspire Brown Sugar and your unique and infectious sound? At the time we formed, all the urban soul artists we’re coming to the forefront and most of us were listening to D’Angelo, Erykah Badu, Maxwell, Lauryn Hill, Jill Scott, Eric Benet, Musiq Soulchild, Angie Stone, John Legend and various other R&B acts. Along with Tupac, Biggie, Snoop, Tribe, De La Soul just to mention a few Hip Hop acts. But due to our broad backgrounds and influences, there’s too many artists to mention but some stand outs are: Red Hot Chili Peppers, Michael Jackson, Bob Marley, Aretha Franklin, Whitney Houston, Sade, Mariah Carey, AC-DC, Prince, Cold Chisel, Led Zeppelin, Pearl Jam, Living Color, Lenny Kravitz, Rage Against The Machine, Nirvana, Beatles, The Police, Earth Wind & Fire, Parliament & Funkadelic. What was the inspiration behind the name Brown Sugar? Brown Sugar was formed around the time that urban R&B was extremely popular, hence our name which was from my favourite album at the time, D’Angelo’s “Brown Sugar”. What are your current visions, goals and aspirations for the future of Brown Sugar? Current vision is to keep informing people of who we are with our live performances, hopefully gaining some fans along the way. Ultimate goal is to release something of our own that we’re really excited about, perform it live across the country and hopefully make many people happy along the way. Where can people hear you play or get in touch with you for some Brown Sugar blessing at their next event? ← Jason Heerah – The Music Man! Reblogged this on ♫♥ SOUL OF SYDNEY: SOUL | JAZZ | FUNK | AFRO-BEAT | BOOGIE | DISCO | LATIN | HIPHOP | DEEP HOUSE Vibes ♫♥.